There are many subgroups of polyphenols which include: lignans, flavonoids, and reservatrol. The chemical structure of polyphenols found in plant foods gives them a range of unique chemical and antioxidant properties, which can have many health benefits when we eat them. For example, the consumption of blueberries and strawberries is associated with delayed cognitive aging by as much as 2.5 years. The yellow pigment, curcumin, in the spice, turmeric, may work as good or better than anti-inflammatory drugs and pain killers for the treatment of knee osteoarthritis, and also may benefit people with rheumatoid arthritis. Polyphenols may also play a role as angiogenesis inhibitors, preventing the growth of new blood vessels to tumors, thereby stopping cancer growth from getting any bigger than about the tip of a ball point pen. Foods high in polyphenols also appear protective against the development of skin wrinkles, and can have a role in changing the balance of bacteria to improve weight control. Green tea is a great source of polyphenols with the potential to reduce stroke risk, reduce your risk of dying from pneumonia, reduce seasonal allergy symptoms, reduce the risk of diabetes, and protect against cancer. Green tea may in part also be responsible for protecting the Asian population against heart disease, and lung cancer despite the popularity of smoking. Whole fruits and vegetables may work better than antioxidant supplements for their ability to treat seasonal allergies, improve lung function, and control asthma. 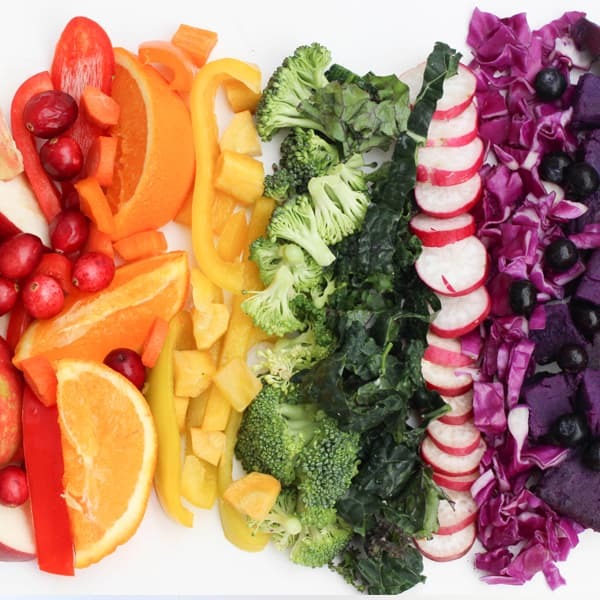 The majority of polyphenol phytonutrients in plants may be bound to fiber (nonextractable polyphenols), helping to explain the marked difference in health impacts between whole fruit or vegetable compared to its individual parts. Apples should be eaten as a whole and not peeled, as apple peel extract has strong antiproliferative effects on breast and prostate cancer cells, and apple juice may be worse than sugar water. When it comes to polyphenols in legumes, their effectiveness may also be improved by cooking or sprouting. Your Chocolate fix contains a type of polyphenol called flavanols which are found in the highest concentrations in cocoa powder. But adding things (like the milk, and fats found in chocolate) to cocoa powder may negate the health benefits of the flavanols, so while cocoa is better than chocolate. The majority of polyphenol phytonutrients may be bound to fiber, helping to explain the marked difference in health impacts between whole fruit and fruit juice. The consumption of blueberries and strawberries is associated with delayed cognitive aging by as much as 2.5 years—thought to be because of brain-localizing anthocyanin phytonutrients, as shown on functional MRI scans. The yellow pigment curcumin in the spice turmeric may work as well as, or better than, anti-inflammatory drugs and painkillers for the treatment of knee osteoarthritis. Women who consume the most high-phytate foods (whole grains, beans, and nuts) appear to have better bone density. Cancer cells are commonly present in the body, but cannot grow into tumors without hooking up a blood supply. Angiogenesis inhibitors in plant foods may help prevent this from happening.